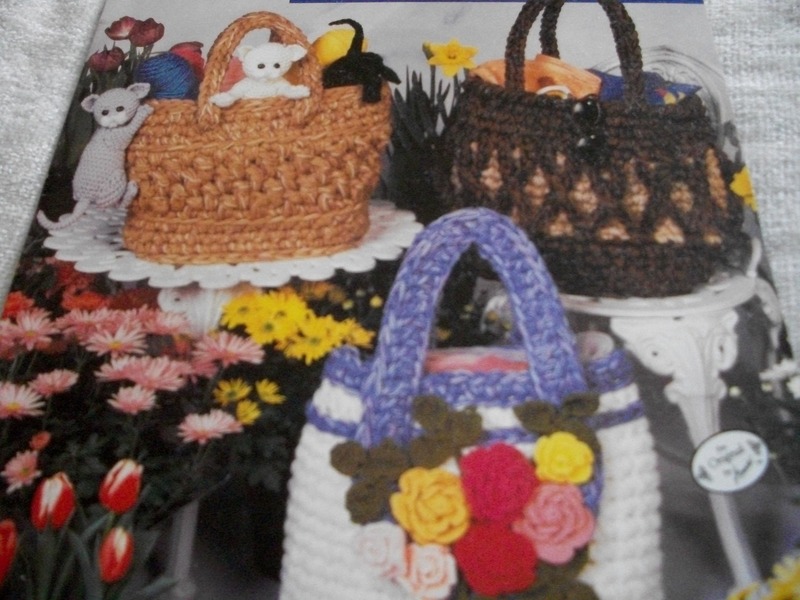 1993 Annie's AtticQuick Easy with a Q Hook: Tote Bags leaflet. 11 pages. Name written on front cover in black marker. Fun tote bags to crochet! Comes from a smoke-free home.